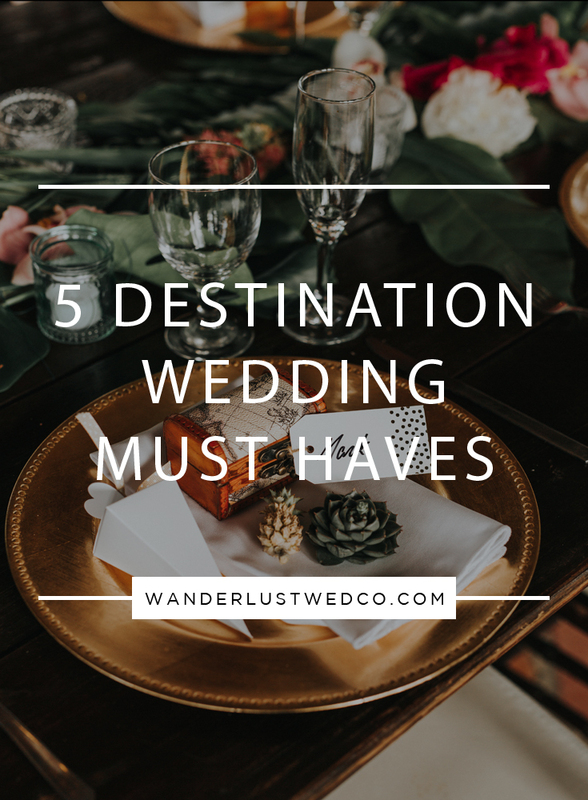 Just like with any wedding, a destination wedding has must have items. Regardless of location, good food, a good bar and engaging entertainment are key to a successful celebration. However, when planning a destination wedding there are a few other must haves that are crucial to having a fun-filled, memorable experience. #1 - An amazing team. The key to every great wedding, especially a destination wedding, is the team behind you. When planning a wedding in a foreign country, you need experienced professionals to help you navigate the details, ensure you’re respecting local customs and regulations and ease the stress. Relying on a team that is well versed on the ins and outs of destination weddings will make all the difference in the world. #2 - Patience. Patience is vital to having a successful destination wedding. Things will not always go as planned and corresponding with vendors who are 6000 miles away with a six hour time difference will not be easy. Take a deep breath and practice your patience. #3 - Flexibility. Just like patience, flexibility is vital. Part of the charm of a destination wedding is getting to experience and immerse yourself in another culture. However, it can also be a big source of stress. Recognize that you’ll have to be flexible in order to comply with destination specific regulations, culture and local wedding traditions. #4 - Drinks. When you’ve used up all your patience and are tired of being flexible, pour yourself a drink or three. Even with an experienced team behind you, planning a destination wedding can be stressful. Take a step back, pour your favorite cocktail and relax before jumping back in. You and your sanity can thank us for this tip later. #5 - Loved ones who are up for an adventure. A wedding is nothing without the people you love most there to celebrate with you. But, with a destination wedding, they’ll also need to bring along their sense of adventure. With potentially long travel and an itinerary full of activities, you’ll want to make sure your friends and family are ready for anything. Besides these things, what are your destination wedding must haves?